Stories from around the globe featuring our amazing alumni and alumni events. UM's first female mechanical engineering graduate blazed a trail of her own. Many 'Canes have found lasting love at the U. Here are a few of their stories. After her unexpected death last year, the family of Cornelia Lowerre, M.S. '14, creates a scholarship in her honor. The second annual "Last to Leave, First to Arrive" art show will bring the University community together for a great cause. 'Cane pride leads to Charlotte Community and an endowed scholarship. Join us for a look back at 2018's biggest moments, and what we are looking forward to in 2019. The University of Miami's fall commencement speakers are visionaries in their respective fields. Former UM students and current faculty members recall the 41st president’s visit to campus and his political impact. UM dedicates ‘transformational’ Thomas P. Murphy Design Studio Building at the School of Architecture. Fareed Zakaria tells UM students that globalization and technology have put pressure on the American dream. 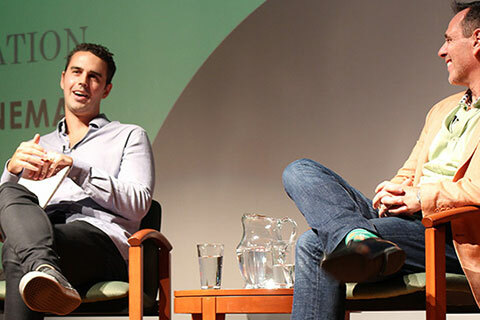 Alumnus shares insight about his experience at UM and how an internship at the White House led him to a career as a writer. Two UM Rosenstiel School alumnus joined 2019 class of prestigious fellowship program. UM and Magic Leap unveil details of their innovative academic alliance. 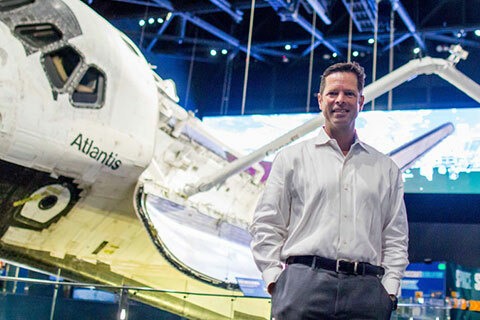 UM engineering alumnus David Cox reflects on his storied career at NASA. Five Miami School of Business graduates set the stage for a new wave in advertising. Alumnus happy to see scholarship recipients thriving. A wave of excitement building up to the season opener and Advocare Classic Pregame Celebration! Alumni work together to build successful company, catering to ’Canes. Alumni Patrick Rynne, Ph.D. ’16, and Fiona Rynne, B.S.M.A.S. ’10, M.S. ’13, bring an innovative concept to conservation through filmmaking and apparel. University of Miami alumni team up to study sharks during the Discovery Channel's famed "Shark Week". 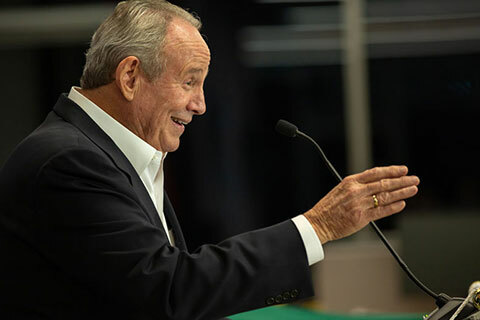 Alumni, friends, and future ’Canes gathered in L.A. to welcome Dr. Henri Ford and to hear about his plans for the future of the Miller School of Medicine. Erin Dunphy, B.S.C. ’06, sailed alongside the first-ever paddleboard journey from Cuba to Florida. See for yourself why the UM Theatre Arts program is rated one of the best in the nation. Prestigious alumni awards at the 2018 Annual Florida Bar Convention. Champion ’Cane brings the University of Miami to Charlotte. Growing up on Florida’s southeast coast, Tamara James, B.L.A. '06, first made headlines on the basketball court. Frank R. Jimenez, B.S. '87, President of the University of Miami Alumni Association, first to deliver the commencement keynote address. 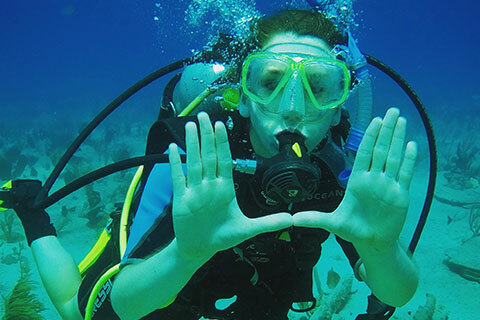 Whether you’re living in Miami or traveling around the world, the UM Alumni app will keep you better connected to the University. George M. Corrigan, Jr., B.B.A. 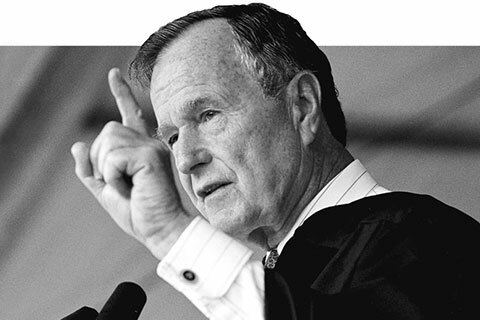 ’49, spent his career building businesses and setting the stage for development and progress. Discover ways that you can make connections and help the class of 2018 feel right at home! Sharpen your skills and build your network! WVUM celebrates transmitting tunes from the U for a half century. 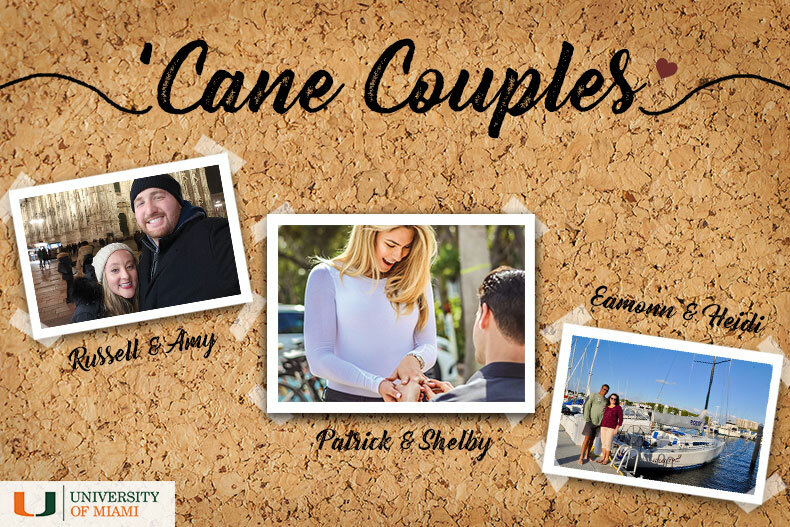 Many 'Canes have found lasting love at the U, here are some of their love stories. Listen to the stories shared by UM alumni during the February 2017 UTrailblazers weekend; a celebration of UM's First Black Graduates. 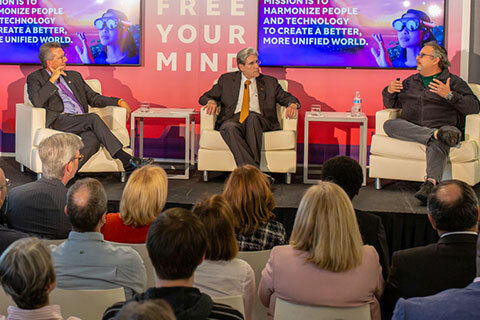 The World Happiness Summit 2018 will officially be hosted by the University of Miami at the Shalala Student Center. Did you find true love at the U? Tell us about it! We want to hear and share your UM love story. Save the date for this year’s Alumni Weekend & Homecoming, November 1–3. UM researchers synergize to develop health care tool. A look inside the University of Miami Marine Invertebrate Museum with Museum Director. Teaching techniques and learning continually evolve, and engagement today is at its highest level. We are Miami Hurricanes and we have a historic legacy of resilience and renewal. The hatchery infrastructure was severely damaged by Irma, but the fish remained safe. It is in our nature as humans and as Miami Hurricanes to seek ways to give back. Help outfit the inside of the new Indoor Practice Facility at the University of Miami! Moving the U Forward - we celebrate a range of groundbreaking initiatives and accomplishments throughout the University. Alumna and trustee Hilarie Bass, J.D. '81, named president of American Bar Association. 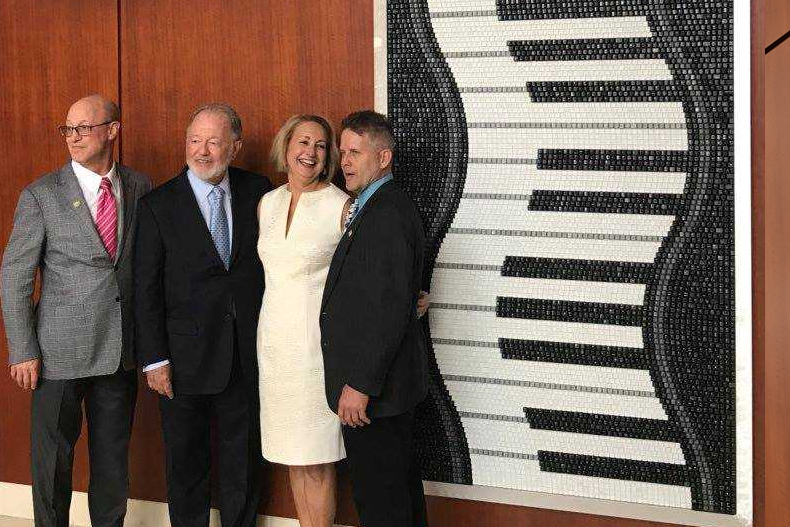 The Miller School of Medicine presented students with perhaps the most recognized symbol of the medical profession. 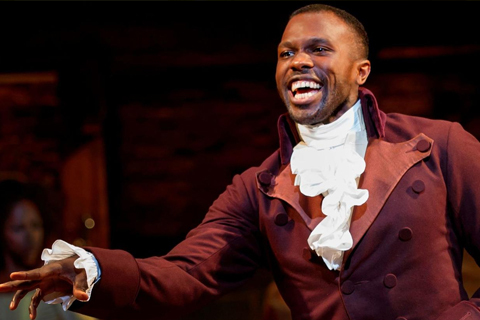 'Hamilton' star Joshua Henry, B.M. '06, on why kids in the audience bring him to tears. Gloria Estefan, A.B. '78, D.M.U. '93, to receive the prestigious Kennedy Center Honors award and the first Cuban American to earn the distinction. UM's Shark Research & Conservation Program, conducts research on the ocean's most enigmatic predators. UM’s Second Annual Paradise Camp inspires the greats — former and current. Geisha Williams, B.S.I.E. '83, named the first Latina CEO of a Fortune 500 company. Three Hurricane legends named to the NFF and College Hall of Fame ballot. Four members of the 'Canes community are among Fortune magazine’s 50 Most Powerful Latinas of 2017.